Gwaaaaah!! !~ He's sooooo cuuuuuuuuuute!~ *glomps Sephy-kun* x3 I want him! *shoves into pocket and runs away* MINE!!! hehehe thank you soooooo much!! LOloLOloLOLOo... He's all like "Didn't I say that you WEREN'T Allowed see it Cloud?" lol XD wow thank you soooo much!!! Nihihi! 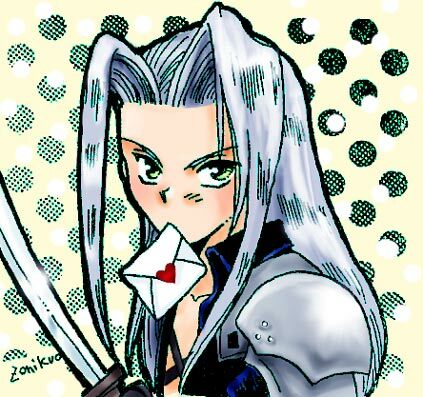 *huggles Seph* Great drawing! vincent is really cool guy, isn't it!